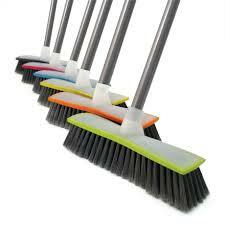 Alpha Cleaning Supplies offers a wide range of wholesale commercial cleaning products for the Perth area. 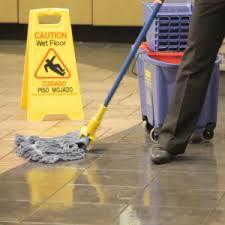 We provide economical choices of high-quality products to help you get a thorough clean, the first time. 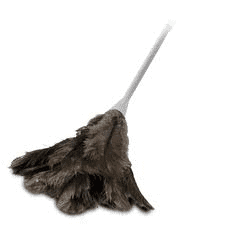 Starting out as cleaners ourselves, we offer only the highest quality products and cleaning chemicals available in Perth, with a range of chemicals being mixed onsite. 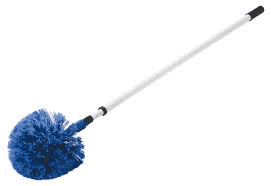 Offering next day delivery from our Cockburn based factory, Alpha Cleaning Supplies is your one-stop for all your cleaning needs. 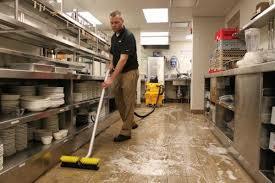 Alpha offers a wide range of floor care products. 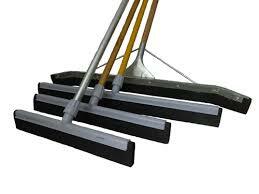 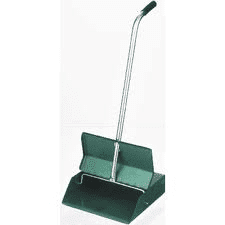 We have floor brooms, dustpans, mops, and squeegees in a range of styles and sizes, to keep your business clean and tidy daily. 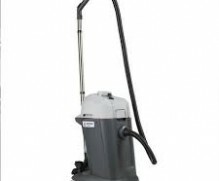 Our range of high-quality vacuum cleaners and accessories are suitable for hard and carpeted floors. 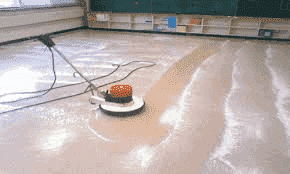 We have professional-grade floor polishers and buffers available as well, and the experience to help you should you have any questions about operation. 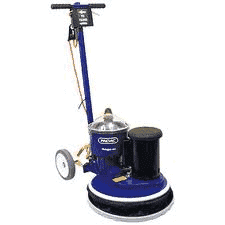 We offer a wide range of carpet cleaning products, including equipment and chemicals. 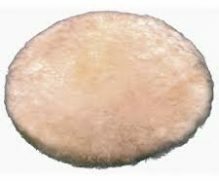 We are proud to offer carpet cleaning chemicals from the Palace range, an environmentally friendly range we developed ourselves that offers superior cleaning power. 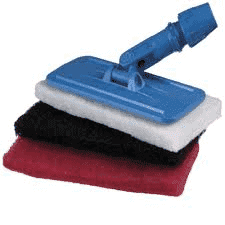 From carpet spot cleaners and shampoos to more specific products, such as carpet degreasers, deodorants, and chewing gum removers, our range will cater for all your carpet cleaning needs. 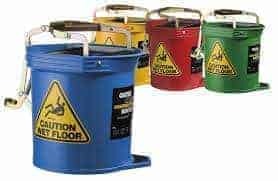 We carry bins and bin liners to suit your business needs. 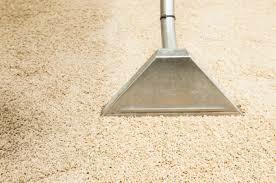 We have smaller indoor bins suitable for staff break rooms and waiting rooms. 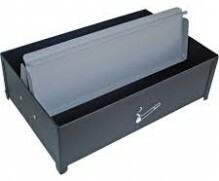 We offer larger exterior 2-wheel bins in a range of sizes and colours. 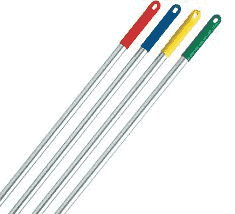 Available in 80L, 120L, 140L, 240L, and 360L sizes, these durable bins can be mixed and matched to lids of differing colours, so you can keeporganizedd. 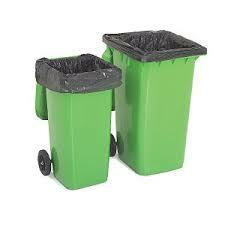 We even offer our largest 4-wheel bins in 660L or 1100L sizes, so you can be sure your waste management is sorted. We offer a wide range of cleaning chemicals to suits all aspects of business, from daily cleaning to more specialised needs. 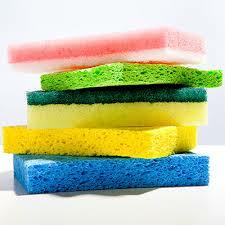 Our Palace range offers carcinogen-free low-allergen surface and window cleaning. 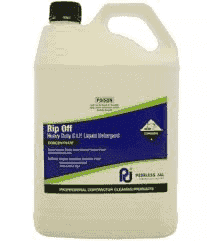 We have powerful stain and graffiti removers, heavy duty degreasers, specialised grout and tile cleaners, and deodorisers. 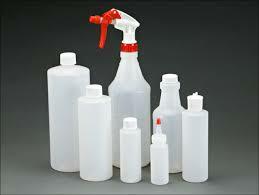 From basic to heavy duty industrial needs, Alpha offer the chemicals to get the job done easily and efficiently. 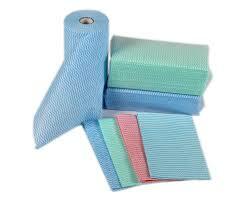 Alpha offers a range of paper products to assist your cleaning needs. 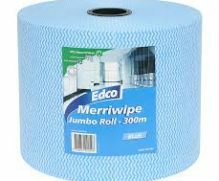 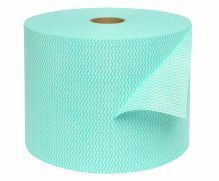 Merriwipe cleaning rolls are available in 300 metre or 500 metre lengths, easy to rinse clean for reuse or simply dispose of the cloth when finished for particularly dirty jobs. 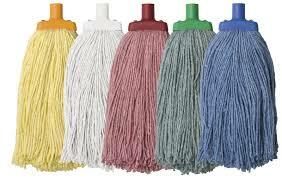 We also offer commercial wipes with antibacterial qualities when an extra level of cleanliness is desired. 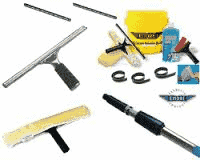 Alpha offers a selection of cleaning equipment to meet your needs. 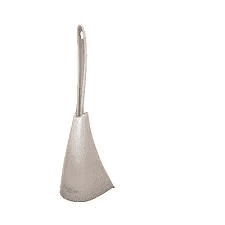 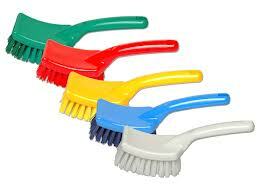 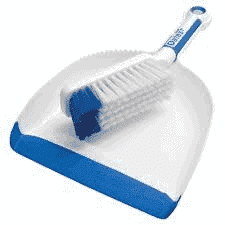 We have a variety of brushes suitable for cleaning all surfaces, including toilets. 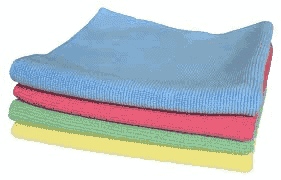 We carry microfibre cloths, wipes & rags to suit surface and window cleaning. 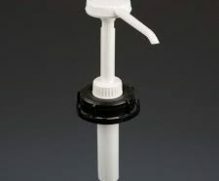 We have container bottles and spray bottles so you can split your larger chemicals and keep cleaning products easily accessible in each room that needs them. 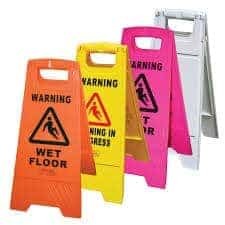 We have buckets with handles or with wheels, suitable for mopping, as well as replacement mop heads and caution signs to alert customers of wet floors. 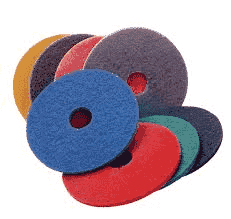 All your equipment needs can be provided by Alpha.